Pneumonic plague, something most of us have only read about in history books, is back. The plague has popped up in Madagascar with over 1800 confirmed infections. Thankfully, antibiotics have been mostly successful, and looks like it is losing steam. Yay for humankind, right? Listen to this broadcast or download “The Planet Just Dodged a Plague For Now” in player below! “The number of new cases and hospitalizations of patients due to plague is declining in Madagascar. The last confirmed bubonic case was reported on 24 October and the last confirmed pneumonic case was reported on 28 October. While it’s great that the numbers are declining, these cases are likely to continue to pop up in Madagascar until approximately April. A new infection could slip through exist screenings and spread plague outside of Madagascar. The bacteria which causes, Yersinia pestis, may be developing antibiotic resistance. The plague is one of my top picks for the next great pandemic in my book, Prepping for a Pandemic. Ever since the 1990’s plague cases have been on the rise. Known as the “Black Death”, decimated a third of the world’s population in the 1300’s. It is 100% fatal without antibiotic treatment, but there is still the risk of death. This current strain has an 8% mortality rate even with treatment. 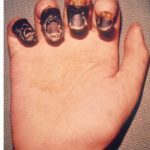 In this episode, we are going to look at why this is happening and how to prevent exposure to Yesinia pestis. This isn’t anything to play with. 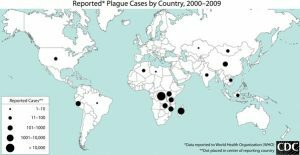 Will the next great pandemic be plague? Tuberculosis? Influenza? Something new and unknown? We can’t know for sure what it will be or when. We can be sure, however, that pandemics happen. Take this opportunity to get prepared. Previous: Previous post: Biological attack: What to expect and how to treat!